This week I want to add a post to my food series and related posts from earlier this year. One of the posts in the series was about wasted food. Just to give you an idea of the content I opened with the following: It is estimated that in the USA between 40 and 50% of all food produced is wasted. There are about 320 million people in the US, so we could safely say that this wasted food could feed at least 100 million people. And the shocking thing is that nearly all of this wasted food is edible. It is close to its sell by date, the packaging is damaged or incorrectly labeled, Christmas pudding in January. Much of it never even gets to the shops, it fails a quality test because the label is not correctly attached or the packet printing is wrong, and it is discarded. 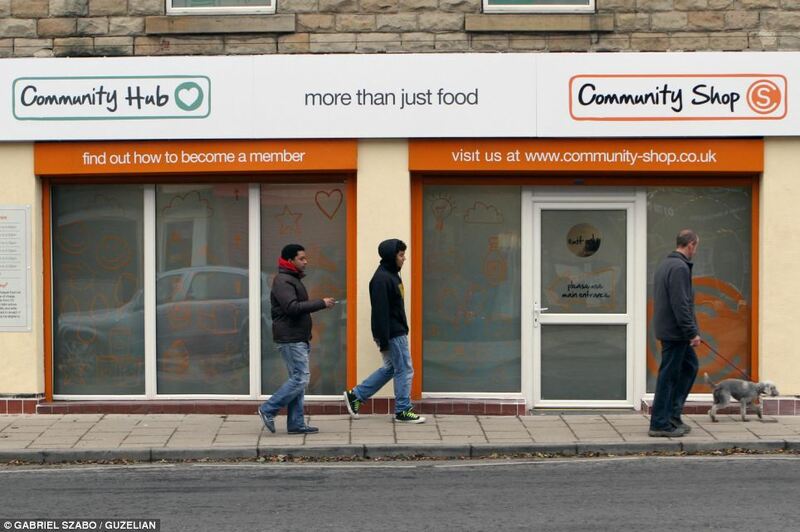 This week the first UK based Community Shop opened, and in this shop they only sell discarded food. Sounds like a great idea, they take food that is lost during the preparation stages, on its way to the supermarket, and food that is discarded once it has arrived or sat on the shelves for a while, and they re-sell it. Very cheap (70% less), you can make a profit and waste problem resolved I thought. Great! One problem is that if you sell this food at a fraction of the previous price, people will buy it and not the full price food. This means that for every tin of beans bought at the community shop, a supermarket sells one tin less. So they might not like that, and that is why in many cases they prefer to destroy the food than to pass it on. 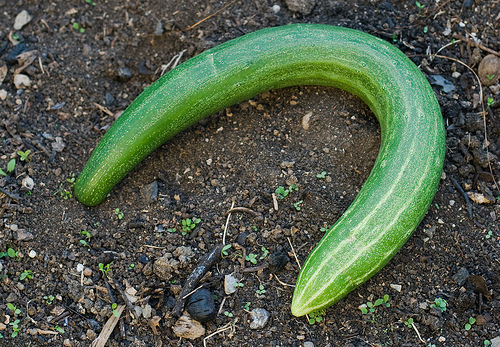 This problem can be seen in this case on a local scale, but it also happens on a global scale. How do you think the farmer in South Africa feels when she sees thousands of tons of free US grown grain distributed for free in a neighboring country? She cannot compete and sell her food any more. 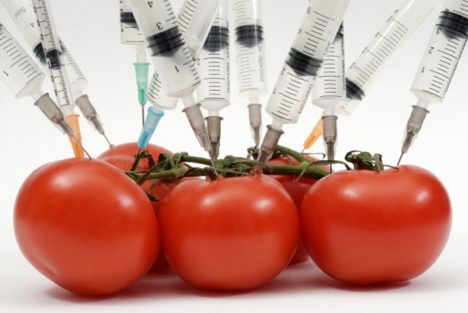 Feeding a population without charging them directly destroys surrounding markets. This is not just a food problem. When we donate our old clothes and they turn up worn by kids in Kenya (Manchester United shirts come to mind), that means that those kids did not buy their clothes, and the local clothes suppliers, and makers, and distributors, don’t work. So the community shop have found an answer. You have to be a member to buy food there, and to be a member you have to be receiving benefit from the government and live within a local postcode area. Only 500 members at a time, and membership is not for life. The shop also offers free courses in food preparation, CV writing, and many other things that help to manage the household and improve quality of life. Sounds great, but we should remember that many people are working poor that do not receive benefits, or have fallen through the benefit net, what about them? What we need is more of these shops, so that the entry rules can be broader. This is a great idea. Let’s use the stuff instead of throwing it out. And to be honest I have little sympathy for an industry that is so wasteful and non-sustainable. If there were a community shop of this type on every corner we could all benefit, and I for one wish them well with their endeavour. I watched NASA TV all afternoon today. I wanted to see the launch of the new US Space Agency flagship Orion, but unfortunately technical issues led to it being postponed. They will (and I will) try again tomorrow. This is an interesting launch for one major reason, it is the first test flight of a capsule that will carry people, possibly to Mars, but certainly into outer space. The test is going to send it way out beyond the orbiting space station (3600 miles), into an area that is much more inhospitable. One issue that is different at that kind of distance is radiation. The radiation level is high, high enough to effect machines let alone humans, and so the test will measure how much the engineers have managed to insulate the capsule from this problem. Incidentally this problem is often cited as evidence that the US moon landings were faked, with critics saying that the astronauts would not have survived the radiation levels if they had actually gone there. But that is another post! Another thing to be tested is its capacity to withstand the temperatures of re-entry in to the atmosphere. You might recall one of the Space Shuttle missions ending in disaster as it burnt up on re-entry due to faulty tiles on the underbelly. Now I would like to see a rocket launch, but it is a completely different thing to see one with a capsule carrying people attached. I remember the golden days of space travel, when it was only animals that had the chance of orbit. (I don’t really remember them). It is after all a dangerous game going into space. This Wikipedia article lists all of the deaths involving space travel, both on the ground and in the air. 19 people have died during space flight, but another 11 have died in training, and if we think that only 533 people have been into space then the fatality rate is high. So will they send animals in the capsule to test it out again? I doubt it, but alongside the 500 odd people in space we should not forget our animal friend heroes, some of whom gave their lives for this great mission. Fruitflies, a pest sometimes and national heroes on other days. Fruitflies were after all the first animals sent into space, way back in 1947. In 1949 they sent a resus monkey up called Albert 2, although he died on re-entry. They did have some sensor data however so it ewas not all in vain. They are little remembered though, unlike Laika the dog. 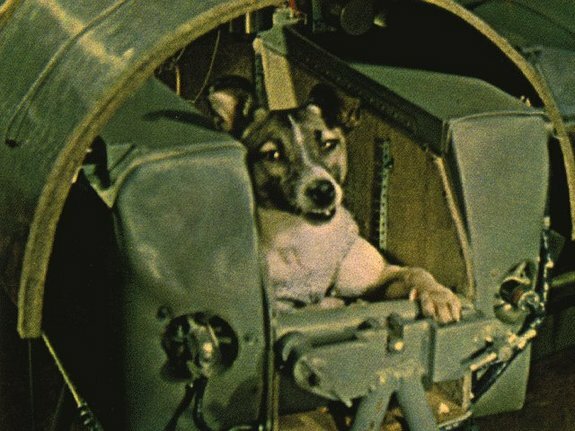 Laika was rescued from the streets of Moscow, trained, and sent on a one way mission into space. It is not known how long she lived, the capsule burned up on re-entry, and I am not sure why she was sent, but a heroic end to a flea ridden mut it was in November 1957. There she is in the photo above. 2 dogs did however make it back in one piece after a quick orbit. In 1960 Belka and Strelka made it back home, and I am sure received the welcome they deserved. Then there was Ham, a chimpanzee. He was trained to interact with the vessel, pulling levers and feeding himself. He became a celebrity upon his return and there is even a documentary film available about his and his friends’ pioneering lives. If you would like to know more about animals in space (I bet you can’t wait) check out this link. I am looking forward to a launch tomorrow, with or without animal passengers. On a final note follow this link to see a photo reportage about abandoned NASA facilities. The places that launched some of these great missions are now in ruins. Makes you think!